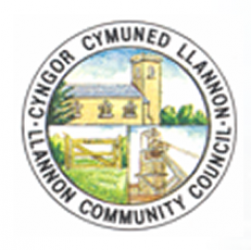 Llannon Community Council covers and administers an area of some 7479 acres (38.36 km square) and has a population of 5153 of which some 3793 are entitled to vote at its elections. The main centres of population are the villages of Tumble, Llannon, Cwmmawr and Cross Hands. According to the most recent figures available 71% of the population are Welsh speakers (2001 Census). The Council consists of 15 elected members. The Clerk is employed on a part time basis and works from home. In addition the Council employs two full time permanent labourers, two full time temporary labourers during the grass growing season, a part time cleaner and a part time evening caretaker. A number of casual workers are also employed as Bar Helpers. Management & maintenance of public cemetery, closed cemetery & 2 memorial gardens. Maintaining open spaces.Provision & maintenance of some 60 hanging flower baskets. Supervision & cleaning of re cycling area. Maintaining of some 60 rights of way covering 40km (24.39 miles). Working in conjunction with County Highways on traffic calming measures & highway improvements. Working with the police to safeguard the community. Responsibility for maintaining & energising of footway lighting. Providing Christmas trees & lights annually. Providing financial assistance for various voluntary organisations & charities including annual sponsorship of local eisteddfod. Provision & maintenance of public seating & notice boards. Appointing representatives to numerous local & outside bodies. Nominating minor authority representatives to local primary & secondary schools. Supplying & maintaining bus shelters. Managing and running a lunch club for the over 60′s at Tumble Hall – Clwb Cinio a Chlonc – meal and a chat Club. Delivering services for the area’s young people in partnership with the County Council. Commissioning studies and work in partnership.